This coloured aquatint was made by Robert Havell and Son from plate 5 of JB Fraser's 'Views in the Himala Mountains'. 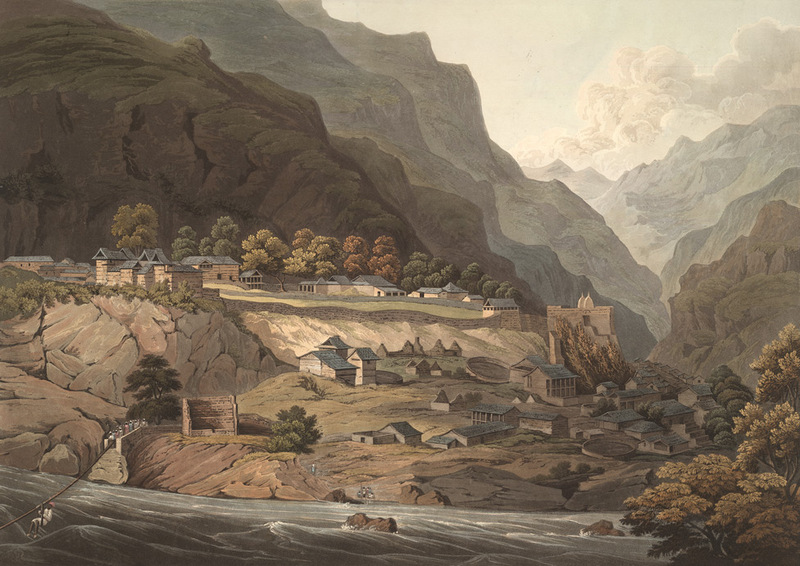 Fraser and his brother William reached Rampur, the capital of Bushair State in the Himalayan foothills, on 12 June 1815. It was an important trading place for cashmere wool and was situated on the banks of the river Sutlej, which was crossed by the precarious rope bridge seen in the bottom left corner.